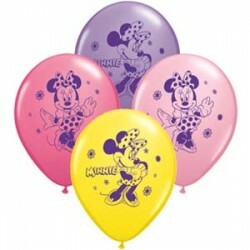 Minnie Mouse Party SuppliesThere are 29 products. 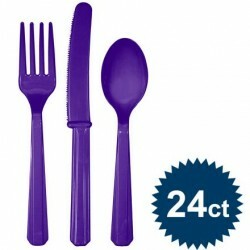 The Purple Cutlery Set is great for any girl's birthday party. This item includes 8 purple forks, 8 purple forks, and 8 purple knives. 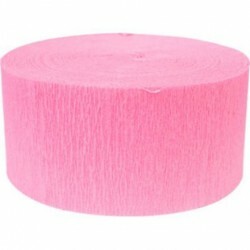 They're an easy way to add some more color to your party setup. Honor role Your little one will show plenty of character when she dresses up in this Minnie Mouse Pink Disney Cuddly Bodysuit Costume. Featuring layers of ruffled tulle with polka dots, it includes an ear headband so she'll look the part. Size 12-18 months. 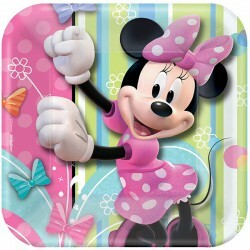 Our Minnie Dessert Plates are perfect for your daughter's next birthday party. 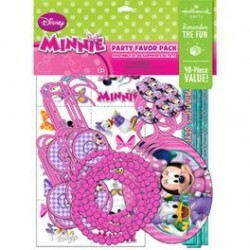 These pink and purple party plates feature Minnie Mouse front and center with a striped border. The square plates are sold in a pack of 8. Order your set today! 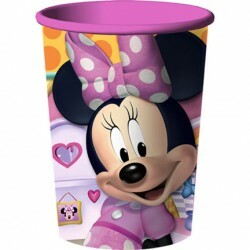 The Minnie Luncheon Napkins are a fun tableware choice for your next party. 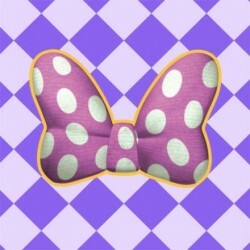 The napkins feature a light purple checkered background, with Minnie's iconic pink polka dotted hair bow. These colorful and fun party napkins are sold at a great low price in sets of 16 per order. This colorful and festive table cover is called the Minnie Table Cover. 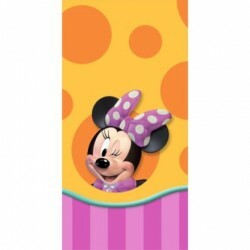 This bright and fun table cover features polka dots, stripes, and Minnie Mouse front and center for a great look. 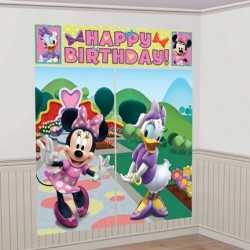 This plastic, decorative party table cover measures 54" X 96". Soft shoe Baby will be frilled with these pretty in pink ballet shoes trimmed with satin bow. 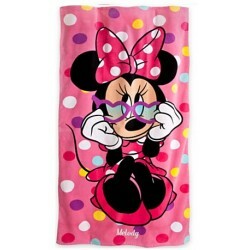 The soft satin uppers of these costume shoes have plenty of polka dots while Minnie is all smiles on the footbed. Size 12-18 months. 1 large 16oz plastic cup, top rack dishwasher safe.